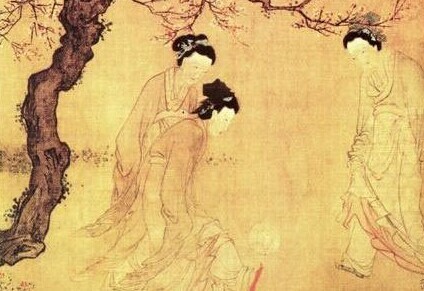 The earliest soccer game originated from the Linzi region of the Qi state during the Zhou Dynasty in China over 2,300 years ago. Its ancient name was cuju. Cuju was first mentioned in the historical texts Annals of the Warring States and Records of the Grand Historian in which the sport was clearly recorded as a form of fitness training for military troops. “Cu” literally means to kick and “ju” means a ball. According to another ancient text, Taiping Qing Hua, the ball in the Han Dynasty was made of feathers and wrapped in leather. By the Tang Dynasty, it was replaced by an air-filled ball with a double layered skin. Due to its military value, cuju was highly regarded in the Han Dynasty. On top of using it as a formal form of physical training, cuju games were standardized and rules established to help raise military stamina and discipline. 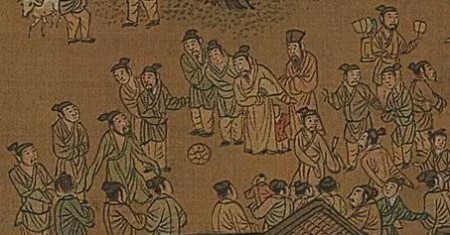 A thorough discussion of the cuju game was first written by Li You of Han in his Record of the Cuju Court in which the venue and rules of the game were detailed — a type of court called ju chang was built especially for cuju matches, which had six crescent-shaped goal posts at each end with 12 players on each side. The popularity of cuju spread from the army to the royal courts and upper class during the Han Dynasty. It is said that Emperor Wu enjoyed the sport very much. According to the Book of Han, the emperor often organized cockfighting and cuju matches in the imperial palace and watched with great enjoyment. Cuju improved a lot during the Tang and Song dynasties. The air-filled ball was much lighter and bouncier, which meant using a different set of techniques as well as strategies in matches. The Tang people reduced the number of posts on the cu field from six to two and put a net between them to form a goal. The change made the game more entertaining and its popularity spread to Japan during that time. The founding ministers of the Song Dynasty were largely military officers. Their preference of sports as a form of entertainment helped push the technical advancement, enjoyment level, and popularity of cuju. The game flourished during the Song Dynasty as a result of the nation’s social and economic development and its popularity extended to every class in society. There were many good cuju players in the Song Dynasty. 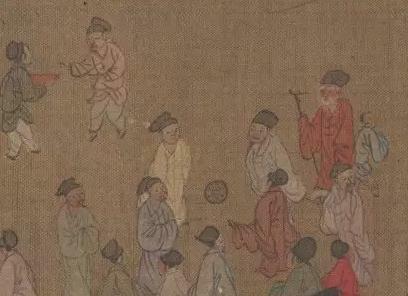 There were even associations formed for the sport, such as the famous Qi Yun Club, also known as the Yuan Club, which was the earliest soccer association ever formed in the world. These clubs aimed to promote cuju by offering classes for skill training and organizing competitions for both men’s and women’s teams. The matches were as spectacular and ardently welcomed as the modern ones we watch today. Cuju was brought to Europe during the Yuan Dynasty as a result of Mongolia’s conquest of the West. It continued its popularity in China in the Ming Dynasty. Officials and royals became obsessed with the game, so much so that Emperor Hongwu of Ming ordered it to be banned. However, certain establishments continued to have women players performing cuju feats to attract customers. The Qing government, learning from the previous government’s mistake, decided to ban cuju once and for all, and that was the end of the once very popular soccer in China.